4 Mistakes We all Make with Money and Why it’s so Hard to Avoid Them. In recent years interest in behavioral economics has entered the mainstream. Nobel Laureates like Richard Thaler & Daniel Kahneman, among many others, teach us a lot about why we make the mistakes we do when it comes to money, and why we will keep making them. Our first blog of the year gave practical and simple tips that will allow you take control of your finances for the year ahead. This one will hopefully to explain some of the reasons why it’s so hard to stick to our plans. Everyone would like to make more considered and rational choices when making financial decisions. Unfortunately, our emotions and built-in biases can work against our best intentions. Objectively speaking, each euro is of equal value, but we tend to value money differently depending on how we got it or how we plan to spend it. One glaring example of mental accounting is how we treat money we win, versus money we earn. Have you ever won money on a scratch card, or at the races? No doubt you were a lot more comfortable splashing out with those funds, than spending your hard-earned salary. This is a common phenomenon that we all can relate to. We tend to fool ourselves into putting greater value on things we own, over things we don’t own. Sentiment is a powerful emotion. A perfect example of the endowment effect is the person who thinks their own home is worth €50,000 more than other houses on the street. Another example would be people who own shares and refuse to let them go, even when the writing is on the wall. Are you listening, former Bank of Ireland or AIB shareholders? Remember the last thing you felt you had to buy straight away? Even if it meant sticking it on the credit card? Most likely, you let your emotions get the better of you. The impulse to buy just took over, with complete disregard for your bank balance. This impulse for immediate gratification or ‘Hot State’, overrides our rational thinking. It is fed by that little plastic card you have in your pocket. It is so much easier to pay with your credit or debit card, then to count out the cash and hand it over. The very act of handing over your card makes it harder for our brains to assess the true cost. A lot of financial planning requires giving up some of your monthly income for a specific long-term goal like your retirement fund or paying for insurance to protect yourself and loved ones. While we might all agree that saving for the future is essential, whether it be for retirement or for that worrisome ‘rainy day’, we can all certainly agree that it is easier said (and planned) than done. Behavioral economics demonstrates that humans are very short-term oriented and find it very hard to picture and adequately assess their future needs. Foregoing enjoyment today, for some nebulous future goal, requires us to fight against the immediate pleasure of a payday reward. Nobody’s perfect and the science suggests we will not be able to avoid these mistakes completely. However, by being aware of our pre-programmed vulnerabilities, we can try to apply some rules and routines to compensate, and to reduce the all too often feeling of dread, when we do look at our bank balance. Barry has worked in the financial services industry since 2011. Having joined MoneyCoach in early 2017, Barry specialises in income protection, retirement planning and investment advice. He is a Qualified Financial Advisor (QFA), a Retirement Planning Advisor (RPA), and a Specialist Investment Advisor (SIA). He is also currently working towards the Certified Financial Planner (CFP) designation. 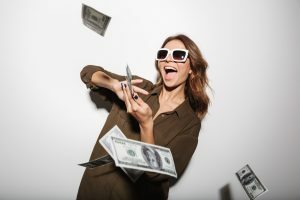 So, You won The Lotto – What Next? Protect your income, protect your lifestyle! 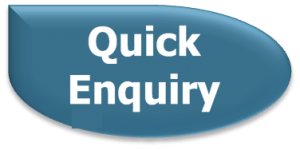 By submitting your details we will contact you regarding mortgage and mortgage protection options. Marketing consent applies only in respect of the products and services we offer. At Irish Mortgage Corporation we want to be able to stay in contact with our clients. Please be assured that your personal data has & will always be handled with the utmost care by us and we will never pass on, or share, your details to third-parties for marketing purposes. This consent only allows our staff remain in contact with you for updates, products and services we feel may be of benefit to you. Yes please, I'd like to allow MoneyCoach to keep in contact with me No thanks, I do not want MoneyCoach to keep in contact with me.